First of all, one either has to like this genre or not. If you don't like it, it is indeed silly - to say the least. 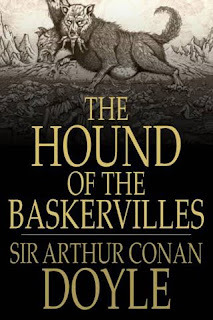 And yet, much as I like mysteries, I also like the pen of Conan Doyle, because he writes in a style that provides much more depth onto the storyline but also, and more importantly, on the relationship between Holmes and Watson. "there is no man who is better worth having at your side when you are in a tight place. No one can say so more confidently than I"
So, when even the great Holmes finds himself in a tight spot, who does he call? Indeed, Watson... And again, when Watson complaints that Holmes did not tell him he was in Devonshire as well, Holmes replies: "My dear fellow, you have been invaluable to me in this as in many other cases". Just so that there are no misunderstandings, Holmes and Watson are a team! "In a modest way I have combated evil, but to take on the Father of Evil himself would, perhaps, be too ambitious a task"
Modesty or realisation that even his power has limitations? In a reversal of roles, I found that it was the scientific mind of Watson that remained calm even in instances of distress and shed light into the story. "you never tire of the moor. You cannot think the wonderful secrets which it contains. It is so vast, and so barren, and so mysterious"
But danger awaits around the corner: "the longer one stays here the more does the spirit of the moor sink into one's soul, and also its grim charm". 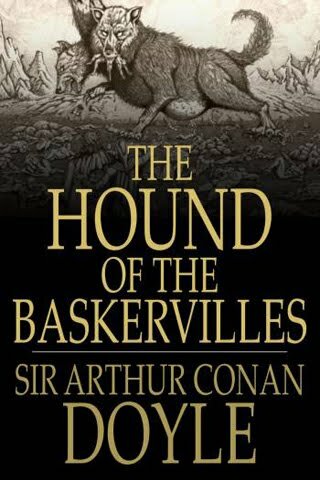 My favourite part of the Hound is when Watson came to a cave he thought was a dwelling-place of the culprit and found out that it was Holmes' hiding place. Watson is cute when he's angry. (But he could never keep that up for long, he's too kind for that). I've watched also adaptations mentioned above, and I must say Jeremy Brett is the one I love the most. (Though one can't deny that Vasily is awesome as well). I too love the Russian adaptation with Vasily Livanov as Holmes. Check out my tribute to Livanov.